Neo4j is in use in thousands of deployments around the world. This course was developed for Neo4j v3.0. A new course that supports Neo4j v3.5 will soon be available. Through this course we will provide you the knowledge necessary to successfully deploy and manage a Neo4j production setup. We created an online version of our classroom production training to satisfy the requests we got for self-paced learning. Please give us feedback on how we can improve it. You can also join the neo4j-users Slack and give or get feedback in the #online-training channel. If you sucessfully completed the course and built and deployed a Neo4j installation into production, please also take the Neo4j Certification to demonstrate your expertise. The certification is free of charge and consists of an hour-long exam with 80 questions across the different aspects of Neo4j usage and deployment. We’re excited to hear you are ready to join the thousands of other Neo4j users who have successfully deployed Neo4j to production. Like the others before you, you likely have questions about best practices, how to administer the server, what to configure, or even the basic deployment architecture. In addition, it is likely you are an admin who has been tasked with deploying Neo4j for the first time. At the end of this course, you will have the necessary knowledge to help your team decide on an appropriate edition of Neo4j, make a wise choice on deployment architectures and be prepared for production launch. 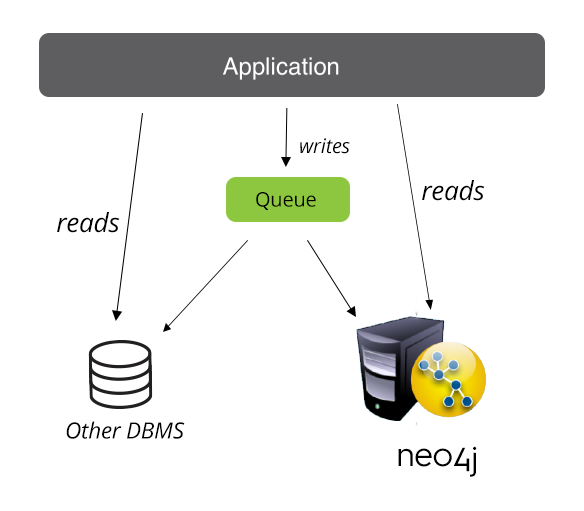 As a database, Neo4j has a very familiar place in all application architectures. It is used as a transactional, real-time store for highly connected data. To interact with the database, you use the open Cypher graph query language. By sending one or more statements across the wire within each transaction you can read, create and update graph data and access additional features. Built-in and user defined procedures provide support for additional functionality. For production deployments, Neo4j can be run in clustered mode to support high availability and disaster recovery scenarios. Then it also support live-backups and advanced monitoring. As you get started with Neo4j, you’ll immediately find there are two versions of Neo4j to choose from: Community Edition and Enterprise Edition. The version you use will depend on the features you require, the nature of the solution using Neo4j, and the level of professional support you would like to receive from Neo Technology. The Community Edition is a full functioning version of Neo4j suitable for single instance deployments. It has full support for key Neo4j features, such as ACID compliance, Cypher and access via the binary protocol and HTTP APIs. It is ideal for smaller internal or do-it-yourself projects that do not require high levels of scaling or professional services and support. The Enterprise Edition extends the functionality of the Community Edition to include key features for performance and scalability such as a clustering architecture for High Availability and online backup functionality. It is the right choice for production systems with availability requirements or needs for scaling up or out. Milestone indicates a build of Neo4j that includes new features and functionalities to be included in a future GA release. Release Candidate indicates a build that has combined all milestone feature updates and fixes into a single build that could potentially be complete, but needs further testing. General Availability releases are our certified releases. They include all features and functionalities intended for that version and supported for production deployments. As the Neo Technology team builds new features and functionalities for the next releases of Neo4j, we will make those features available in Milestone or Release Candidate versions. We do so to give the community an opportunity to test new features before they become a part of our General Availability versions. Milestone or Release Candidate versions should never be used for your production deployment. Also, data migration between non GA versions is unsupported. However, Milestone and Release Candidate versions offer a great opportunity for Neo4j administrators to test new versions with their applications. This allows administrators to understand any improvements or effects a coming feature change will have on them. As feasible, we recommend administrators that they download and test the Milestone releases only in their test environments. But we strongly request waiting for the General Availability version before using Neo4j in a production environment. Which Neo4j edition is Right for your Deployment? The Neo4j Community Edition is a great choice for many basic implementations of Neo4j. Indeed, you’ll likely begin your initial exploration of Neo4j with the Community Edition. You are performing early stage load testing: Enterprise will show better results than Community. Workload separation e.g. offloading backups, reporting etc. For companies in the start-up stage we offer a dedicated program which makes free and heavily discounted Enterprise Edition licenses available to you. Please check for the current terms of the startup program. Early in the development of a solution, a decision will be made whether to deploy Neo4j as a standalone server or embedded within the solution. Today the standard deployment of Neo4j is a typical client-server model, the most common approach among production deployments of Neo4j. For other reasons the choice to embed Neo4j directly into the application may have been made. This is more common in OEM setups, where Neo4j runs integrated as part of a third party product. In this architecture, Neo4j runs as a database server and can be accessed through binary and http APIs for data querying and updating. It is a very familiar option similar to many server-based solutions. When deployed as a server, the administrator should expect to perform many common admin, configuration, and troubleshooting tasks as they would for any database deployment. Neo4j provides utilities and tools for enabling these capabilities, which we will detail further in this course. We will also detail the configuration and setup guidance that will aid the admin in ensuring a robust and stable deployment. This course will primarily emphasize the production decisions and administrative tasks associated with a server-mode deployment. The mixed-mode instances are clustered with each other. If they are not clustered together, you simply have two different deployment architectures for two different databases. There are no unique administrative approaches or requirements when you have a mixed-mode deployment. We highlight it here simply to identify the possibility and note the reasons why this architecture may be chosen. Now we’ll turn to Neo4j itself and give you the knowledge you need to understand the server and its functions. As mentioned previously, much of the following content will detail tools and utilities that are available to administrators of Neo4j instances running in Server mode. We recommend reviewing the Neo4j documentation for specific details on configuring embedded deployments. Next we turn to a discussion on the fundamentals and internals of Neo4j. These are important topics to fully understand the overall Neo4j framework, how it runs and what is required for Neo4j to be managed. Before we deploy, let’s dive into the components that make up a complete Neo4j instance. The internal components that make up a Neo4j instance are helpful to know so you better understand how implementation and configuration details affect the overall system. Neo4j is comprised of a very familiar component architecture. It includes the files on disk that represent the database and logs for transactions, a cache for storing and working on data in memory, a transaction manager and an interface layer (query or API) for interacting with the database. Let’s look at each level separately. Neo4j database files are persisted to storage for long-term durability. All the data related database files are persisted in the directory specified by the configuration parameters dbms.directories.data and dbms.active_database in the file conf/neo4j.conf. If you leave the parameter’s defaults in place, the database at the location data/databases/graph.db will be used. The below table will give you an idea of the type of files you’ll find, prefaced with neostore. * and what data they are storing. Each of the files in this directory will make up your database. Since Neo4j is a schema-less database, we use fixed record lengths to persist data and follow offsets in these files to know how to fetch data to answer queries. The following table illustrates the fixed sizes Neo4j uses for the type of Java objects being stored. Those fixed sizes may differ with regards to the record format (standard format vs. high limit format, see the configuration parameter dbms.record_format). You can approximate the size of your database on disk by multiplying the number of nodes, relationships, and properties by the record sizes used for each. This will only be an approximation but can be very helpful when it comes to the hardware sizing. Also, this will have an impact on the size of the page cache, which you should configure properly. The cache and its configuration are discussed in more detail in the next section (L2). Relevant database information and errors are logged to $NEO4J_HOME/logs/neo4j.log. More detailed diagnostics, error messages and forensics are logged to $NEO4J_HOME/logs/debug.log. Both files are rotated after reaching a certain, configurable size and time. To get more detailed information about the memory allocation behavior you can enable Garbage Collection Logging, which is explained in a Garbage Collection Logging. For diagnostics on query performance it is possible to log Cypher queries that are slower that a configurable time to a $NEO4J_HOME/logs/query.log file. If necessary parameters for those queries can be configured to be logged as well. Please note that for large amounts and sizes of parameters that can cause the log file to grow quickly. Atomicity: If any part of a transaction fails, the database state is left unchanged. Consistency: Any transaction will leave the database in a consistent state. Isolation: During a transaction, modified data cannot be accessed by other operations. Durability: The DBMS can always recover the results of a committed transaction. All database operations that access the graph, indexes, or the schema must be performed in a transaction. The default isolation level is read committed. Data retrieved by traversals is not protected from modification by other transactions. Non-repeatable reads may occur (i.e., only write locks are acquired and held until the end of the transaction). You can manually acquire write locks on nodes and relationships to achieve higher levels of isolation (SERIALIZABLE). Locks are acquired at the Node and Relationship level. Deadlock detection is built into the core transaction management. For production deployment purposes, much of the transaction management is outside the scope of this training. Neo4j provides a query language called Cypher and a set of APIs for CRUD operations with the database. Cypher is a declarative graph query language that allows for expressive and efficient querying and updating of the graph store. Cypher is a relatively simple but powerful language. Very complicated database queries can easily be expressed through Cypher. Although outside the scope of this training, it is recommended that everyone working with Neo4j learns the basic Cypher syntax. It is highly efficient in regard to querying the database for data validation and other checks. Neo4j also provides Java APIs for database operations, which will most frequently be used when the database is embedded or if authoring Neo4j unmanaged extensions. The documentation provides a complete overview of the APIs, but further details are outside the scope of this training. Neo4j provides a built in cache called page cache. This is a file buffer cache and caches the storage file data in the same format as it is stored on the durable storage media. It is also sometimes referred to by the name file buffer cache. The page cache is designed to be off heap and holds the Neo4j data (or parts of it) in the same format as it is represented on the durable storage media. The purpose of this cache layer is to improve both read and write performance. The file buffer cache improves write performance by writing to the cache and deferring durable writes. This behavior is safe since all transactions are always durably written to the transaction log, which can be used to recover the store files in the event of a crash. It also improves write performance by batching up many small writes into fewer page-sized writes. Run this command in the directory where your store files are located (see above for configuring this). It will output the summed up size of the store files relevant for the page cache. Add an appropriate value for growth (e.g. 20%). If you configure the file buffer cache to have less memory than the size of the store, the cache will automatically swap pages in and out on demand, trying to keep the most frequently used data in memory. The maximum amount of memory to use for the page cache, either in bytes, or greater byte-like units, such as 100m for 100 mega-bytes, or 4g for 4 giga-bytes. The amount of memory to use for mapping the store files, in a unit of bytes. This will automatically be rounded down to the nearest whole page. This value cannot be zero. For extremely small and memory constrained deployments, it is recommended to still reserve at least a couple megabytes for the page cache. If set to true the current page cache configuration settings will be written to the default system output, mostly the console or the logfiles (e.g. debug.log). Note: the prefix unsupported means that the config parameter is not part of the official product surface and therefore not officially supported. When configuring the amount of memory allowed to use for the page cache and the JVM heap, make sure to leave room for the operating system’s page cache and other programs and services the system might want to run. It is important to configure the memory usage so that the Neo4j JVM process won’t need to use any swap memory, as this will cause significant performance degradation. When reading the configuration parameters on startup, Neo4j will automatically configure the parameters that are not specified. 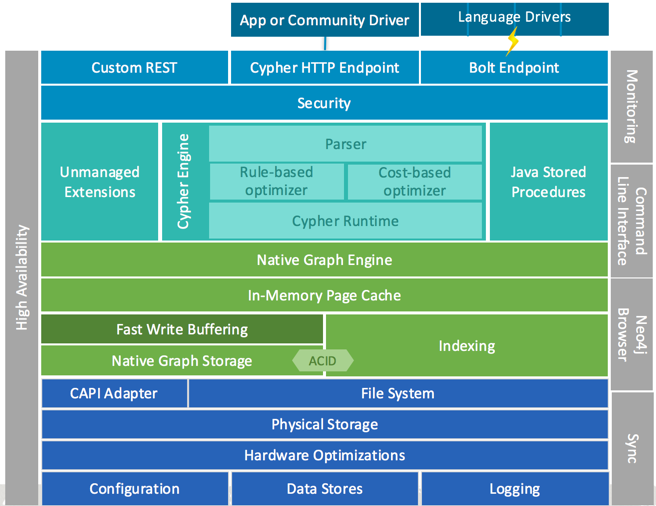 The default cache size will be configured based on the available memory on the computer, with the assumption that the machine is dedicated to running Neo4j. Specifically, Neo4j will look at how much available memory the machine has, subtract the JVM max heap allocation from that, and then use 50% of what is left for the page cache. This is considered the default configuration. In future releases of Neo4j, the product may see changes in allocation and use of memory which will improve the overall experience. Please refer to the documentation and release notes for releases you are planning to use to confirm changes in memory management. Now that we understand the basic components that comprise Neo4j, let’s turn to our discussion to deployment and configuration. You can deploy Neo4j in your own data center, in the Amazon cloud or using Rackspace, just to name a few possibilities. There are various other ways to deploy your services. Often the decision to choose the right deployment model is made by you and your organization together with other involved companies or IT partners. Subjects often discussed during decision-making include cost, data privacy, availability constraints and response times. For Neo4j, the decision is purely based on your own requirements. Neo4j can be deployed in your data center, in a hosted service or a combination of both (if using Clustering with Enterprise Edition). The most common-sense minimum requirement is that your hardware choices should reflect the demands of your application. Try to acquire hardware with more physical memory to increase the amount of the database that can be cached, and the ratio of cache hits when data is queried. Consider hardware with higher core counts so more threads can execute on data in parallel. This will reduce the time the database spends accessing data from disk. Of course, if your application has a combination of both requirements, you should consider a mix of the suggestions above. Overall, the saying “bigger is better” applies here. Neo4j heavily utilizes both memory and disk while running, so you’ll want to ensure your deployment has an adequate number of system services dedicated to it to achieve the performance you require. Contention for services and swapping on a system can cause worse performance than on an undersized system. Avoid oversubscribing the systems where Neo4j will be deployed. Neo4j deployments are capable of starting and running with minimal configuration. However, you’ll likely still need to touch each system where Neo4j will be deployed for final configurations. The default configuration of Neo4j will likely not be completely sufficient for your application’s workload. Neo4j will do a considerable amount of self management, such as adjusting the amount of memory used, but it should still be reviewed and adjusted for application requirements. There are two important configuration files in which you may want to adjust some parameters. These files are discussed in the following section. Neo4j has a range of configuration and performance tuning options that are available. You will want to familiarize yourself with the values set in this configuration file. Although the defaults are sensible, administrators might choose to make changes (especially to the port settings). The following is a list of configuration parameters you should consider tuning for your initial deployment. If you are upgrading a current Neo4j database, you will want to uncomment this parameter (set it to true) so that the underlying database files are upgraded to the version of the database you are deploying. Please consult the release notes, the documentation or the Neo4j support team for confirmation of supported upgrade paths. Defines how long logical transaction logs will be maintained on the server. The more days or volume of logs kept, the more disk space will be utilized by this feature. Later in the training, we will discuss the impact this configuration has on backup strategies. Neo4j can be enabled to allow access from a remote terminal client for operations on the database. If this is needed/desirable for production data validation, consider enabling remote shell access with these configurations. However, note that this does pose a security risk to your database if not properly controlled. Path of the data directory. You must not configure more than one Neo4j installation to use the same data directory. Name of the database to load. A directory with that name will be created under the path specified by dbms.directories.data. Whether basic authentication is enabled or not. These are the configurations that allow you to define webservices port and SSL settings. For Enterprise Edition users, it is also possible to configure online backup and clustering (HA) settings, which will be discussed later in this training. When running Neo4j as a server, it will start an instance of the Java Virtual Machine to run. In the file neo4j-wrapper.conf, JVM and heap memory related parameters that are passed to the JVM when starting are configured. For your initial deployment, consider reviewing the following parameters. Set the heap memory in megabytes used by Neo4j is allocating for internal processing. It’s recommended to set both options to the same value. Note that the memory used by the page cache is not part of JVM heap. Use the G1 Garbage Collector. For most applications, this setting will be sufficient. Sometimes you’ll need to use other Garbage Collector options, which can be set here as well. For Enterprise customers, it is also possible to enable detailed JVM metrics and remote JMX monitoring for remote inspection. We will discuss this in a later section. You will find the Neo4j installation files location at https://neo4j.com/download/other-releases/. Make sure your target system meets the current minimum requirements, including a JVM with the correct version. Getting Neo4j installed and started can be done in less than a minute. The video below will walk you through doing so in a Mac environment. Please consult the documentation for installing in a Windows environment. For the Enterprise Edition, always install Oracle JDK 8 or OpenJDK 8 first and then register, download and unzip the enterprise version. For Windows and MacOS X Community Edition, Desktop installers which come with a bundled version of the Java Runtime Environment are available. The zipped download is also available for the Community Edition for all operating systems. There is also a debian package available for Debian and Ubuntu Linux distribution. An easy way to use Neo4j is via the official Docker image, both for Enterprise and Community. The Docker image comes with many configuration options detailed in the documentation and can also run in a clustered setup. Start Neo4j via the Desktop application or bin/neo4j start. After the database has started, you can access the Neo4j Browser database web interface at the listed URL (in most cases http://localhost:7474). For detailed installation instructions, please refer to the documentation. When designing your solution, some of your first considerations will concern your functional requirements and the type of technology choices you make to meet them. Some of those functional requirements likely will include a need to scale to many concurrent users, maintain consistent uptime, or be able to recover from a system failure and maintain availability. These important production-related questions should drive your technical decisions. This may result in choosing to cluster Neo4j. As the title suggests, clustering Neo4j allows you to distribute read workload across a number of Neo4j instances. You can take two approaches while scaling your reads with Neo4j: (a) distribute and load balance reads to any slave instance in the cluster, or (b) distribute direct reads to specific instances in the cluster. Neo4j’s clustering architecture replicates the entire database to each instance in your cluster. As a result, you are able to direct any read from your application to any slave instance without much concern for data locality. When would you choose this method? Distributing direct reads to specific instances in the cluster is sometimes referred to as “cache-based partitioning”. The strategy simply allows you to take advantage of natural partitions in your data to direct reads to particular instances where the system will already have those datasets in memory. This approach is particularly useful when your total active dataset is much larger than can fit in memory in any particular instance. How do you know if you need Neo4j’s clustering for High Availability reasons? A significant and fundamental requirement for most production services or applications is overall availability. Very often this is determined by the demands of the users, the times they would be interacting with the solution, the impact downtime would have on the business or users of the system to complete their roles or the financial impact of a system failure. These aren’t always customer-facing solutions and can be critical internal systems. Availability can often be addressed with various strategies for recovery or mirroring. However, Neo4j’s clustering architecture is an automated solution to ensure Neo4j is consistently available for your application and end-users. Disaster recovery, in general terms, defines your ability to recover from major outages of your services. 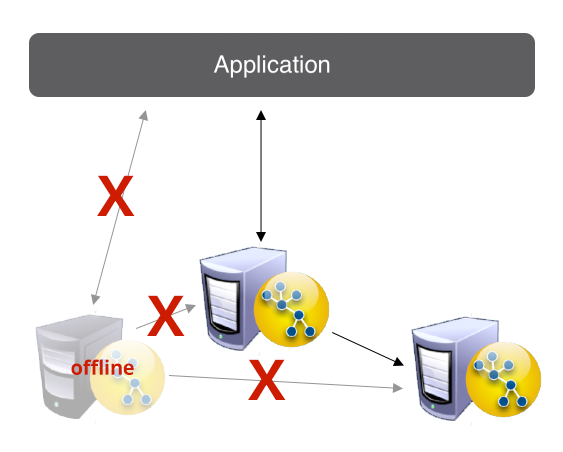 The most common example is an outage of a whole datacenter, which results in many services being disrupted. In these cases, a disaster recovery strategy can define a failover datacenter along with a strategy for bringing services back online. Neo4j Clustering can accommodate disaster recovery strategies that require very short windows of downtime or low tolerances for data loss in disaster scenarios. By deploying a cluster instance to an alternate location, you have an active copy of your database up and available in your designated disaster recovery location that is consistently keeping up with the transactions against your database. Why would you choose Clustering in support of Disaster Recovery? Your application needs to access data for its purposes. It reads data, writes data, and generally keeps your application service or end-users happy. Then comes the analytics team that wants to collect and aggregate data for their reports. Next thing you know, you have a set of long-running compute queries running against your production databases and disrupting your service or end-users’ happiness. You can’t avoid servicing the needs of the analytics requests, but you can limit the impact their queries have on your service. Neo4j Clustering can be used to include separate instances entirely in support of query analytics, either from end users or from BI tools. Clustering means the data is always up to date for analytics queries as well. When would you decide to use Clustering to support analytics needs? But there is another sound reason not listed: saving your bacon. Clustering Neo4j will support many of the functional application requirements that demand application uptime and consistency. Now let’s turn to a discussion on Neo4j’s clustering basics and how to deploy it. Neo4j clustering is comprised of a single Master instance and zero or more Slave instances. All instances in the cluster have full copies of your data in their local database files. Each database instance contains the logic needed to coordinate with the other members of the cluster for data replication and election management. Please note that you need a trusted network to run your Neo4j cluster as currently the network communication is not encrypted. 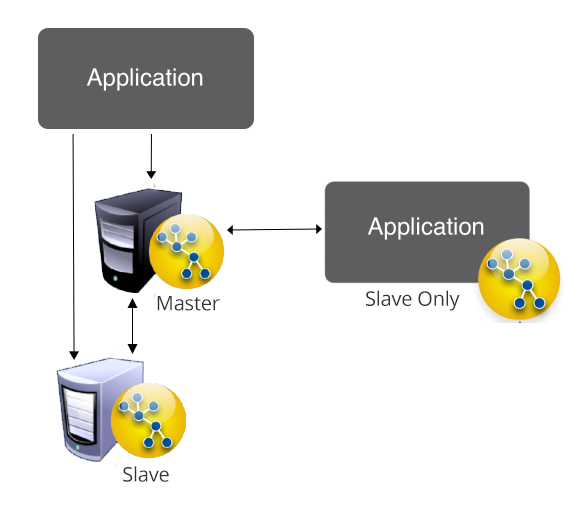 When performing a write transaction on a slave, each write operation will be synchronized with the master (locks will be acquired on both master and slave). When the transaction commits it will first be committed on the master and then if successful, on the slave. To ensure consistency, a slave has to be up to date with the master before performing a write operation. This is built into the communication protocol between the slave and master so that updates will be applied automatically to a slave communicating with its master. Write transactions performed directly through the master will execute in the same way as running in normal non-HA mode. Upon success, the transaction will be pushed out to a configurable number of slaves (default one slave). This is done optimistically, meaning if the push fails, the transaction will still be successful. It’s also possible to configure the push factor to 0 for higher write performance when writing directly through the master, although this increases the risk of losing any transactions not yet pulled by another slave if the master goes down. Slaves can also be configured to pull updates asynchronously by setting the ha.pull_interval option. Whenever a Neo4j database becomes unavailable, the other database instances in the cluster will detect that and mark it as temporarily failed. A database instance that becomes available after being unavailable will automatically catch up with the cluster. If the master goes down, another member will be elected and switched from slave to master after a quorum has been reached within the cluster. When the new master has performed its role switch, it will broadcast its availability to all other members of the cluster. Normally a new master is elected and started within just a few seconds. During this time, no writes can take place (the writes will block or in rare cases, throw an exception). The only time this is not true is when an old master had changes that weren’t replicated to any other member before becoming unavailable. If the new master is elected and performs changes before the old master recovers, there will be two “branches” of the database after the point where the old master became unavailable. The old master will move away its database (its “branch”) and download a full copy from the new master to become available as a slave in the cluster. Write transactions can be performed on any database instance in a cluster. Neo4j HA is fault tolerant and can continue to operate from any number of machines down to a single machine. Slaves will be automatically synchronized with the master on write operations. If the master fails, a new master will be elected automatically. The cluster automatically handles instances becoming unavailable (for example due to network issues) and also makes sure to accept them as members in the cluster when they are available again. Transactions are atomic, consistent and durable but eventually propagated out to other slaves. Updates to slaves are eventually consistent by nature but can be configured to be pushed optimistically from the master during commit. If the master goes down, any running write transactions will be rolled back and new transactions will block or fail until a new master has become available. 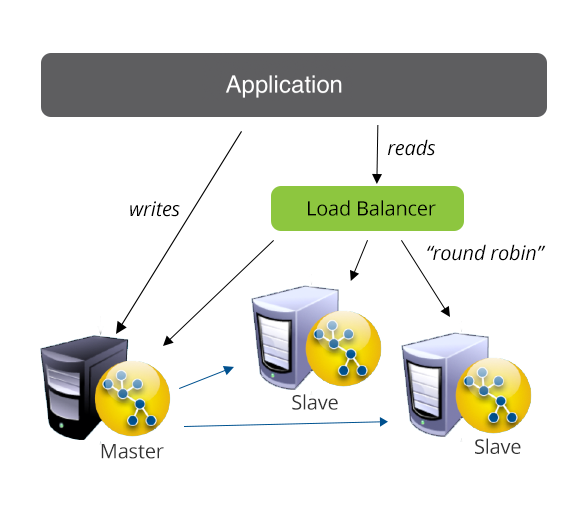 Reads are highly available and able to handle read load scales with more database instances in the cluster. The video below will walk you through a simple setup of a local cluster in Neo4j v2.2. If you are using Neo4j v3.0, refer to the steps after the video for creating a local cluster on a single server. Starting with Neo4j v3.0, you can configure clusters in neo4j.conf, rather than neo4j.properties and neo4j-server.properties as shown in the previous video using Neo4j v2.2. Let’s set up a cluster with all instances of Neo4j on the same machine. This type of configuration is useful in development and testing environments. Configure HA related setting for each instance. Clustering is a very important topic for many enterprise deployments. Throughout this section, we’ve discussed the various reasons for Clustering Neo4j and how you’d go about it. At this point, you are ready to discuss some final administration topics, including how to maintain your system once it is in production. Neo4j supports common monitoring and administration tasks you will need for assuring long run success of your deployment. Whether you need to secure access, administer the database or implement a backup routine, this is the right section for you. Neo4j provides access to internal data through a number of means, giving you the ability to directly access and monitor the state of a single instance or a cluster of multiple instances. This data can provide details on the state of an instance, the volume and measurements of data, the number of operations, memory management and much more. In this section we’ll describe the various data points you can retrieve from Neo4j’s internal monitoring options. The metrics extension can be configured to report to Graphite and log to CSV files. A full list can be found in the operations manual. metrics about transactions; number of transactions started, committed, etc. page cache: page faults, evictions, flushes and exceptions, etc. entities are in the database; nodes, relationships, properties, etc. Neo4j has been supporting JMX for a long, time. You can use established tools such as JConsole or other application monitoring solutions to view this data and proactively respond to issues. With the Neo4j database running, you should already be able to connect your monitoring tool to the process which is running Neo4j. Depending on the Neo4j edition you are using, the name of the process (e.g. shown in JConsole) is: org.neo4j.server.enterprise.EnterpriseEntryPoint or org.neo4j.server.CommunityEntryPoint. When using JConsole, just pick the Neo4j process which should be shown in the Local Process list and click connect. You may need to confirm using an insecure connection in order to proceed. For this test setup on a local host should be fine. By default, the Neo4j Enterprise Server edition does not allow remote JMX connections, since the relevant parameters in the conf/neo4j-wrapper.conf configuration file are commented out. To enable this feature, you have to remove the # characters from the various com.sun.management.jmxremote parameters there. When commented in, the default values are set up to allow remote JMX connections with certain roles. Refer to the conf/jmx.password, conf/jmx.access and conf/neo4j-wrapper.conf files for details. Make sure that the file conf/jmx.password has the correct file permissions on the file system level. The owner of the file has to be the user that will run the service and the permissions should be read only for that user. On Unix systems, this is 0600. On Windows, follow the tutorial to set the correct permissions. If you are running the service under the Local System Account, the user that owns the file and has access to it should be SYSTEM. Note: you may want to update the permissions and/or ownership of the conf/jmx.password and conf/jmx.access files. Refer to the relevant section in conf/neo4j-wrapper.conf for details. With this setup, you should be able to connect to the JMX monitoring of the Neo4j server using <IP-OF-SERVER>:3637, with the username monitor and the password Neo4j. One example is to monitor the state of data replicated between two instances in a cluster. The difference between the LastCommittedTxId attribute on each instance will give you an idea of how much lag there is between your master instance and any of your slave instances. Of course, if you are using a Enterprise Application Monitoring tool, you can define a threshold of lag as an alarm condition. Neo4j has built-in authentication capabilities. By default, authentication is turned on so that users and client programs need to provide the correct credentials in order to gain access to the database. This is true for accessing the database via the Neo4j browser, the REST endpoints (both the built in endpoints and your own extensions) or any Neo4j client and connector. The default credentials are neo4j:neo4j. The password needs to be changed at first access. Do that by opening the Neo4j browser; you will be asked to change the password. Note: access to the database will only be granted if the default password has been changed. The authentication data, which includes the username and the encrypted password, is stored in the file dbms/auth which is located in your data directory. The default is data/dbms/auth. You will find one line in that file per user. If necessary, this file can be copied to other Neo4j instances to ensure they share the same username/password combinations. Note: the authentication is implemented within the Neo4j server and does not affect the file system layer. I.e., the store files are accessible without providing the above-mentioned credentials no matter if authentication is turned on or off. For production deployments we recommend disabling any unused entry points to minimize risk for unauthorized access. For Neo4j Enterprise customers, Neo4j provides a backup utility that can produce full and incremental backups of your current working database. 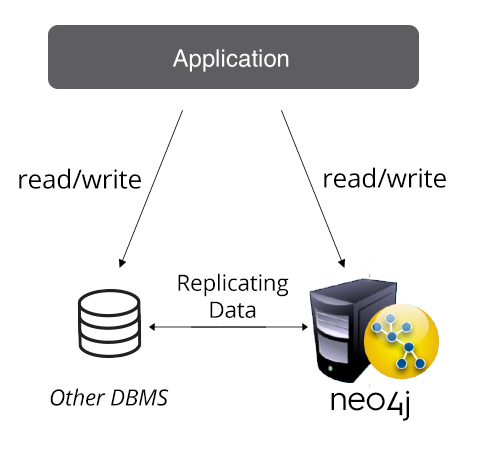 Neo4j backups are fully functioning copies of the Neo4j data store, which makes restoring data as easy as copying your backup files to the correct directory in your Neo4j instance. This also makes creating a backup with the Community edition easy as you only need to take a full copy of your current database store files when Neo4j is not running. In this section we’ll discuss these options in more detail. As described earlier, the graph.db folder is where the Neo4j database files reside. These files are completely portable between instances of Neo4j without requiring any specific conversion or format tools. This also makes backing up Neo4j a very trivial task for administrators. Backing up the Community Edition requires simply making a copy of the graph.db folder as it exists in the state you’d like to back up. The Neo4j Community Edition does not provide any tools or capabilities to back up a running instance of the Neo4j Community Edition. We recommend identifying a strategy for labeling and retaining only necessary backup copies of your database We also suggest automating a routine to take regular backups. The Enterprise Edition of Neo4j provides backup capabilities that allow for an online backup of your database, meaning you do not need to pause your application and shut down your Neo4j instance(s) to create a backup. The utility neo4j-backup is shipped with the Enterprise Edition and provides an interface for performing backups. When backing up, the utility will automatically determine whether to take a full or incremental backup of your database. A full backup is exactly what it sounds like, a complete copy of the database. Of course, the duration needed to create a full copy depends on the amount of data you have in your database. An existing backup directory is specified where an existing backup exists. All transactions in the Neo4j logs are still present in the Neo4j instance (i.e. the logs have not rolled over). Backups are enabled by default. If you do not change the corresponding configuration parameters, you should already be able to trigger backups from your local machine where the Neo4j server is running. However, you may want to change the backup configuration in the conf/neo4j.conf file. To enable or disable the backup functionality, use the parameter dbms.backup.enabled. Set it to true or false. The interface and port the backup service listens on is configured via the parameter dbms.backup.address and defaults to the loopback interface and port 6362. It is typical to reconfigure this to listen on an external interface by setting dbms.backup.address=:6362. It can also be configured to listen on all interfaces by setting dbms.backup.address=0.0.0.0:6362. This can be useful when remote backups shall be performed. Note: make sure you do not violate any security rules already in place for your setup by allowing remote backups. The backup tool will automatically determine if an incremental backup can be performed. If yes, it will do so. Otherwise a full backup is started. Remember that the ability to perform an incremental backup is dependent upon the availability of the transactions in the logs since your last backup. You can tweak this time by changing the dbms.tx_log.rotation.retention_policy parameter in the conf/neo4j.conf file. Your backup strategy should reflect your tolerance for data loss. Should a catastrophic system failure happen days after your last backup, the potential loss of 5 days of transaction data shouldn’t be a concern. If it is, you need a backup strategy that is significantly more frequent. Your target directory, or copies of your backup, should be archived to a location or system off of your primary Neo4j instances. If you have even a moderate transaction volume application, it is recommended to take frequent incremental backups (perhaps hourly) throughout the day and employ a strategy of taking a full backup on a longer interval. Restoring Neo4j couldn’t be simpler. As mentioned previously, backups of the database are fully functional copies that can be redeployed simply by moving the copies to the target Neo4j instance. Stop the currently running Neo4j instance. If recovering for a cluster, stop all instances in the cluster. Assure any issues, errors, or misconfigurations with the server are resolved. Move the backup copy from the backup directory to the graph.db folder on the target Neo4j instance. Restart Neo4j and if working in a cluster, restart the additional cluster instances after the instance you started with the backup becomes operational. Late night phone calls on a Friday to notify you of a service failure rarely kick off an exciting weekend. The following are some additional administration practices that provide sage advice for production stability. When using the JVM, one needs to think about the garbage collection process that comes with the JVM. Garbage collection can have various unpredictable impacts on your production system, especially when Neo4j is deployed in a cluster and the GC pauses are indistinguishable from an application failure. Here are tips for you to minimize the impact JVM Memory Management can have on your application. If possible, configure the amount of memory allocated to the JVM to be slightly larger than the size of your database. JVM memory settings are configured in the neo4j-wrapper.conf configuration file. Depending on your workload, you may find more predictable memory management using an alternate garbage collector. The G1 garbage collector is configured by default. However, alternatives may prove better for your workload. This is also configured in the neo4j-wrapper.conf configuration file. Benchmark and test real production workloads against your test environment. Under-configuration of memory settings will quickly overwhelm an untested production environment. Do not skip this step and do not test in production. Once you have GC logging enabled, additional files will be created in your logs/ directory. The gc log files follow the naming pattern gc.log.x.current where x is increasing. There you can find details about the GC happening on your system regarding the JVM process which runs the Neo4j server. Under regular workload you’ll get an idea of the impact GC is having. The most significant impact you are looking for is “full” garbage collections. A full GC is a stop-the-world event and will cause Neo4j to be unresponsive to requests. You can search the log specifically looking for the keyword “Full” to determine whether this is happening to your system. If so, you should consider further tuning your memory configurations to minimize the number of full GC’s. You rarely need to touch or manage the log files with Neo4j. That being said, let’s discuss a few things to consider regarding log files. First, you should use the configuration settings in Neo4j to instruct the server how long to retain log files. This is configured in the neo4j.conf file by setting the dbms.tx_log.rotation.retention_policy parameter. The value on the right side is a string which must be true/false or of format ‘<number><optional unit> <type>’. For example, 100M size for limiting logical log space on disk to 100Mb, or 200k txs for limiting the number of transactions to keep to 200 000. It defaults to 7 days. You should never set this to true as it will keep all logs indefinitely and you will eventually run out of disk space. If your system has ample disk space available and moderate transaction volumes, you may want to consider setting a time-based policy coupled with a backup procedure that ensures you are taking incremental backups in that window. If your system will have limited disk space and/or high transaction volumes, you should consider a volume-based setting and a backup procedure taking frequent incremental backups to an alternate directory. Throughout the training we’ve touched on a number of best practices related to potential application characteristics or environment requirements. In the next section we’ll finish our training by providing a complete picture through solution architecture guidance and best practices. There are generally a few reasons you may want to choose to geographically distribute a Neo4j implementation. The Neo4j Enterprise Edition with a clustered deployment can seamlessly support a geographically distributed cluster meeting your requirements. Within the cluster, the master instance will still service all writes for the entire global cluster. Each region has a slave instance(s) that can support localized reads. Important! 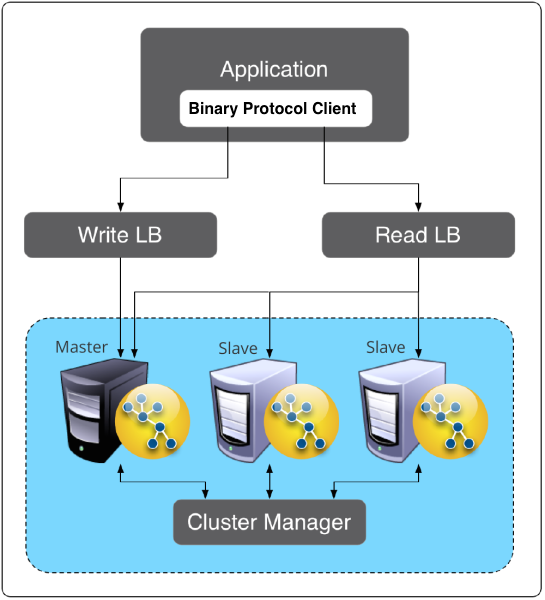 In these configurations, the slave instances should be configured to pull its replication data from the master on a longer interval (assuring efficient use of bandwidth and message bundling) and set as ha.slave_only in the cluster so it can never be elected master. Otherwise, a geographically distributed slave instance could unintentionally be elected master and be too far from the intended application updates. In this setup, you may still want to distribute writes to the master, even if the request is coming from a location within Europe. An alternative would be to send writes to a slave within Europe, which in turn would need to communicate with the master in the US region. Both the bandwidth and the cluster configuration (push/pull strategy) should be taken into consideration for both paths in order to decide on the best solution for your setup. Both approaches will be discussed in this section. As the diagram illustrates, this architecture utilizes a service (such as a message queue) between the application layer and the database services tier. The queue in this example stages data updates for each database system and may also be used by other services or business processes. A secondary service then processes each update on each target system, possibly with a two-phase commit-like approach, to assure the data is updated in each location. This approach is flexible in data processing and transformation for each database and provides for significant flexibility in growing the architecture and communicating with services. However, it does require more logic between the database tier and the services to ensure updates are processed in all target systems. And you’ll want to ensure you have a routine for random data validation between systems to assure data is not diverging. A familiar choice for many administrators, this architecture involves an ETL-like process for moving data from one system to another target system. Use a utility or system tool to extract data from the system of record into a CSV format. You can then use the import utilities in Neo4j to transform and load the data directly into the database. Using a utility or service, pull the data from the system of record into a format that can then be transformed into transactions that are sent to Neo4j like regular database transactions. In these cases, it is common to see data extracted in a format that can then be transformed into JSON documents and sent in transactions to Neo4j’s REST endpoints. If you are considering a deployment where multiple different users will be accessing Neo4j, we have some general guidance for enabling a functional multi-tenant architecture. Currently, Neo4j does not support an in-database functionality that provides data privacy requirements for multi-tenant architectures. However, the following approaches may be applicable for your setup. As a JVM-based database, it is possible to run multiple single instances of Neo4j (no cluster) for each system in your architecture. This approach provides the best guarantees for data isolation; it allows you to tune each instance according to the access patterns of that customer(s) and to administer each instance with different SLA’s or policies. However, if you have high availability or similar requirements that imply clustering, the effort to fulfill that within this scenario is higher compared to other setups. Deployments like this will most likely incorporate a load-balancer or proxy in front of Neo4j that distributes the application requests to the appropriate Neo4j instance based on the end-user of the application. You may also want to divide your graph from a modeling perspective. In that case, you would have only one graph version holding all your data. Clustering is easily possible in this setup. In order to implement this scenario, one could leverage Neo4j Labels to group data within the database or use a separate node per data partition. There are many factors that can be used to divide your graph: user IDs, user groups/teams, geographically/regional parameters or companies, and more. However, there may be some implications that come with this setup. If you need assistance, you’re welcome to contact us. This approach implies the need for maintaining data access patterns between the global instance and the tenant-specific instances. It may also require more complex application logic to join data at the application tier, as Neo4j does not currently provide tools for distributed queries. In this case you would not be using Neo4j Clustering. Instead, you would extract data from the global instance, then use the loading tools to load data into the tenant instances. An advantage of this approach is that you can easily maintain your global data in a single place while providing tenant-specific deployments at the same time. The data copied from the global instance can also be a subset of content based on unique tenant variables. This approach also does not require any coordination logic to merge query data from two instances. Major robustness and performance testing often goes uncompleted before systems go into production. For our last tip, we’ll emphasize what should be an obvious step: Test, test, test! Functional tests should be conducted to ensure the application is performing to spec and the returned data matches expectations. Data validation tests should be conducted if data is replicated between two systems. Random data sampling and comparisons can provide a high degree of confidence in data validity and can be as easy as comparing checksums. Test the performance of the system and ensure it is meeting the scale and throughput requirements expected. We recommend testing to at least 10% above what you expect your peak workload to be. Test failover and fallback scenarios to ensure you know how the system will perform if there are issues. Congratulations! You are now ready to take your Neo4j application into production!